Paradigm® Blog | News & Updates: Men's Journal "Gear of the Year" includes Millenia CT! 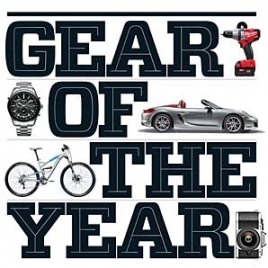 Men's Journal "Gear of the Year" includes Millenia CT! Men's Journal released it's "Gear of the Year" list of recommended products and the Paradigm Millenia CT made the cut! Big sound can come from small speakers: You just need a lot of power and a clever design. The Paradigm Millenia CT has a crushing peak-system power of 480 watts but won't clutter up the living room. Its satellites boast spacious treble, while its eight- inch cone sub delivers driving bass. Invest and home-movie night will never be the same. Click here! for the "Gear of the Year" from Men's Journal. Click here! for more info. on Paradigm's Millenia CT or to buy it online.